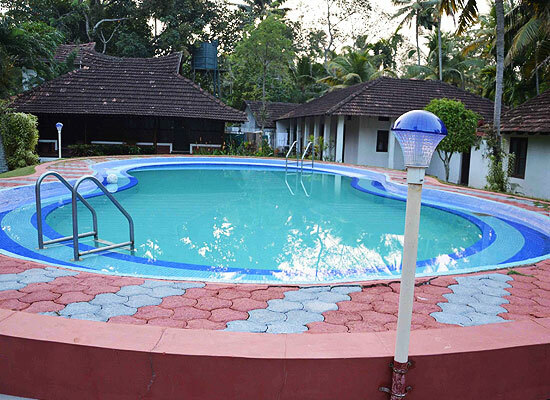 "Kayaloram Lake Resort, Punnamada offers a pleasant blend of the rustic ambience of Alleppey along with the facilities of a contemporary resort. Positioned on an exclusive expanse of leading water front. 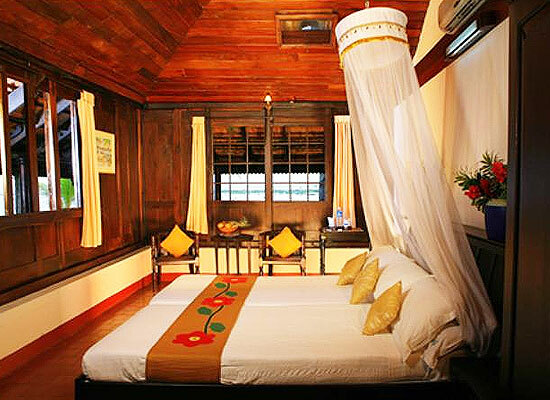 Kayaloram Lake Resort, Punnamada is cuddled by gentle breeze and is fringed by magnificent coconut palms. Kayaloram, with its spectacular backdrop, seems like a page lifted straight out of a history book. 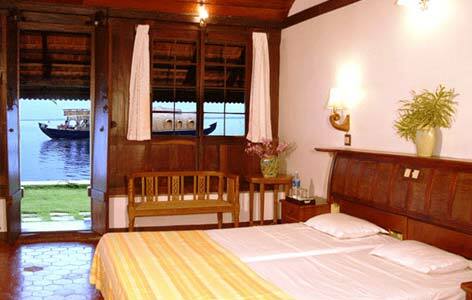 Accommodation at Kayaloram Lake Resort, Punnamada would take you closer to have a feel of ethnic Kerala. Independent Tharavads, the erstwhile Kerala houses at Kayaloram offer 12 bed rooms with every modern amenity. These Tharavads have been meticulously re-assembled from their original form, utilizing only bricks, wood and tiles. Even a majority of the door hinges are made of wood. A unique characteristic of these Tharavads of Hotel Kayaloram Lake Resort is that their bathrooms have open-roofs. The multicuisine restaurant of Kayaloram Lake Resort at Punnamada serves typical Kerala cuisine in addition to some tasty Continental dishes. Alleppey city, often called as Alappuzha, is a beautiful place where you can have a rejuvenating vacation. Alleppey attracts numerous tourists to its serene backwaters, lagoons as well as the striking beaches.